Metabolic disorders: there is hope! Metabolic disorders is a group of disorders that disrupt the normal metabolism of the body. Metabolism is the process where the body uses the energy from food for normal body functioning. Disorders of the metabolism usually occur when some organs, such as the liver or pancreas, fail to function normally. These disorders are typically hereditary or inherited. For inborn metabolic diseases, a routine newborn screening is performed to check its presence. 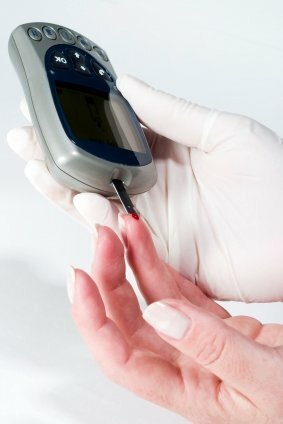 Diabetes is a common example of a metabolic disorder. Diabetes or diabetes mellitus is the most common disorder of carbohydrate metabolism. It is also called an endocrine disorder since it is marked by impaired secretion of insulin, a hormone produced by the pancreas. Insulin is a hormone that causes our cells to take up glucose in the blood which is used as an energy source. When there is no insulin or when its levels are low, glucose is not taken in by the cells. The result? Too much glucose in the blood. Hence, diabetics have high sugar (glucose) levels. Did you know that coconut oil is good for diabetics because it doesn't require insulin? Read about Healthy Healing Oils here. How can glutathione help in diabetic patients? Diabetics normally have low glutathione levels. As such, their defense against oxidative stress is weakened. Oxidative stress has been implicated in the development and complications of diabetes mellitus. Abnormally high levels of free radicals and simultaneous decline of antioxidant defense of the body can lead to cellular damage and the development of insulin resistance. Glutathione helps diabetic patients by reducing oxidative stress, thereby protecting them from complications of this metabolic disease. In other words, glutathione strengthens the body's own antioxidant system by increasing the levels of this powerful antioxidant. The result is decreased oxidative stress. And decreased stress means that our body is able to fight the disease better. The master antioxidant can therefore help in lowering the chances of diabetes from progressing. And it may also help prevent complications of diabetes from occurring such as cataracts, heart disease, stroke, and kidney diseases. Want updates on glutathione? Sign up on the Glutathione for Health and Beauty newsletter here!